The training course of photographic documentation was held from 14th to 31st of March 2010 for conservators of the GEM-CC and Archeological Database Department team, who is working to correct the archeological database. Photography plays an important role in museum activities such as the recording during conservation, preparing descriptions of exhibits and the preparation of an inventory. Shigeo Aoki, conservation expert in Cyber University and Kazuki Sugimoto, photographer specialized in photographic documentation of objects of historical value, came to Egypt to give a theoretical and practical course. Thirteen of GEM-CC conservators attended the course in the first two weeks. They learned the functions of the camera such as image clarity, number of pixels and color tones like white balance, and mechanism of photographing such as depth of field, shutter speed and aperture (F value). In the practical part, they learned a technique of photography for the purpose of artifacts documentation, focusing on the lighting methods. For example, in order to remove shadow from an artifact, light should be covered with tracing paper, and to prevent strobe light reflection on the glass, light should be directed from under the glass. At the end of the course, the attendants learned how to edit and print out images using image editing software on their computers. Most of the trainees are heads of the labs in the conservation center and they asked questions about the mechanism of photography which their various specialties such as textile, wood and stone. The most marked benefit out of this course is developing the skills of photography of the trainees which they gained from their work till now. Ambassador of Japan, Kaoru Ishikawa, made an opening speech in the conservation center. Moreover, a film making team from Ministry of Culture came to shoot the course which made it more alive and active than other courses. Six of the ADD members attended the course in the last four days. Since it is usual for them to take photos while working in storerooms, the course began with the basic theories of using digital cameras, then went on to how to improve the members’ current way of photographing . By the end of the course, the image quality became better than before due to the usage of the color scale, lighting and the tripod. 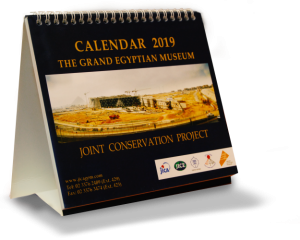 Documentation Department in the Egyptian Museum appreciates the quality of the photos taken by the ADD team so that they would be provided to the Egyptian Museum.